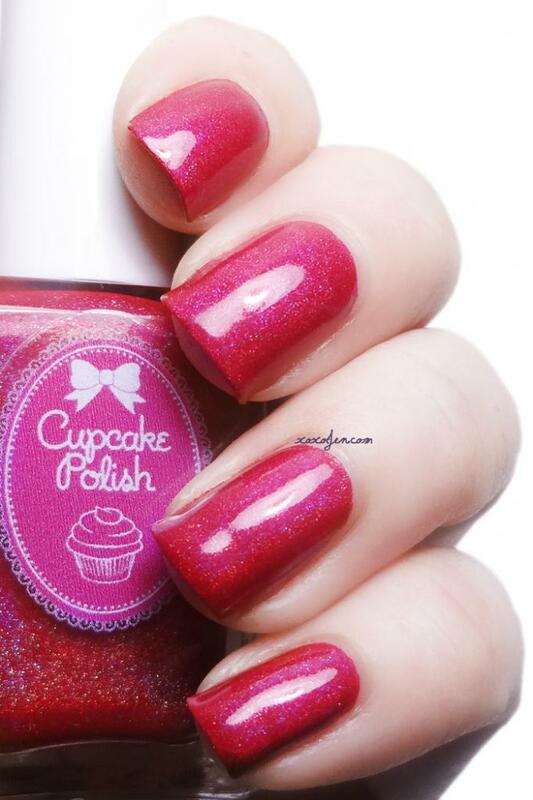 Cupcake Polish has a very vivid Holiday 2014 collection and I'm excited to share them all with you! This collection has three holographic polishes, and three glitter polishes. The formulas on each were very nice in that they're all easy to apply and control where the polish lands on the nail. I had very little clean up with these and I wore two coats of each with topcoat. Look Who's Stocking Now is a linear holographic turquoise polish. 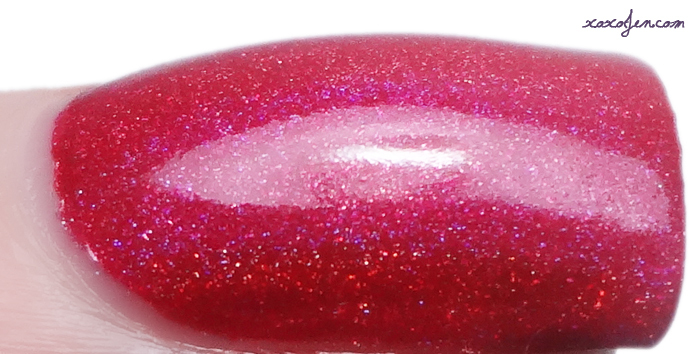 Just Sleighing Around is a blue or cool leaning red holographic polish. Menorah-ty Opinion is a blue linear holo packed with blue and gold micro glitters and gold flakies. Ornamentary My Dear is a gold microglitter packed with gold glitter, gold flakies, and linear holographic pigment. In some lighting, you can see a linear rainbow on top of the glitter. 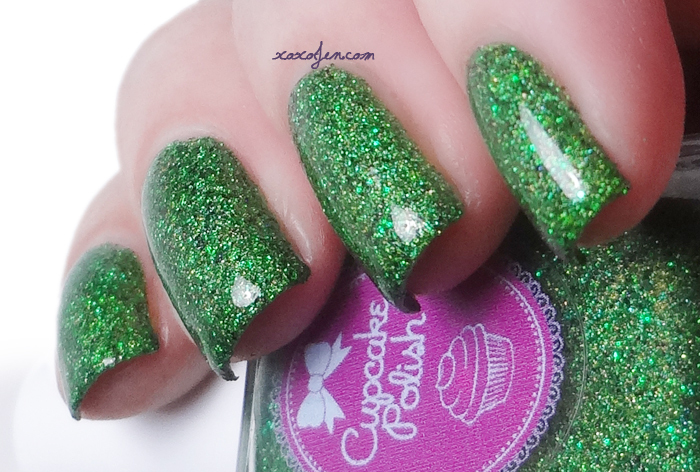 Deck The Malls is a green microglitter polish with glitters in green, holographic green, and black. 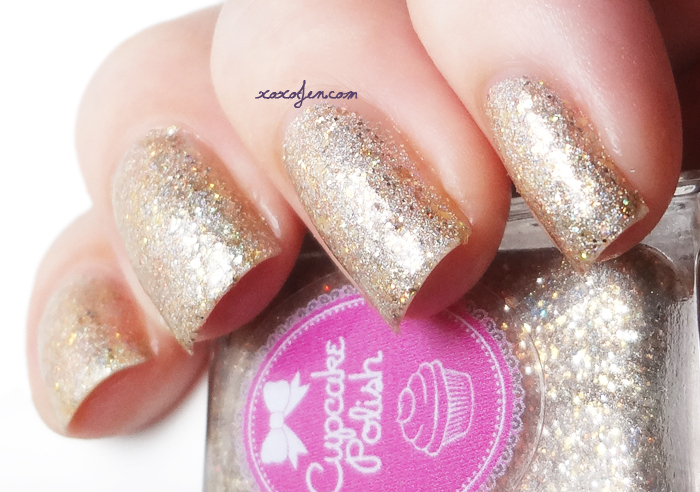 This collection launches December 1st at 6pm CST at the Cupcake Polish online store. I enjoyed wearing each of these but Yule Be Missing Me is staying on my nails for a long while! It's such a stunning shade of purple! I don't think I have any other holo like it in my stash. My photos just don't do it justice. 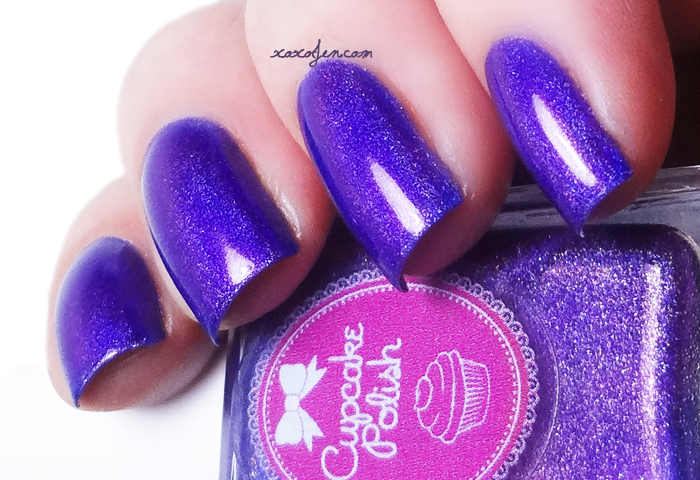 If you like purple holos you won't want to miss this one! Gorgeous swatching! 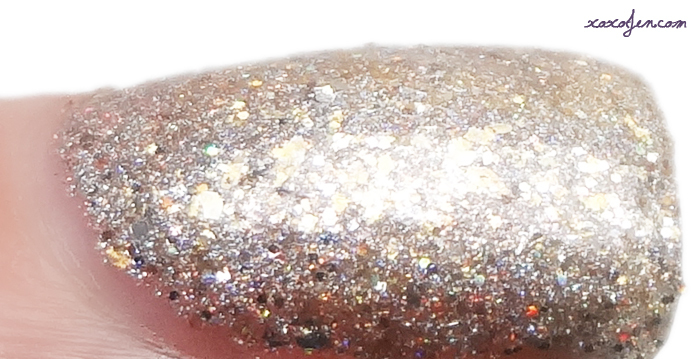 I always love your "profile" macro shots, they showcase the construction of the polishes perfectly.